Recall that for real numbers a, b, and c are real numbers, if and , then . This is called Transitive Property of Equality. This is also the same with congruence. If , , and are polygons, and if is congruent to , and is congruent , then is congruent to . This is called the Transitive Property of Congruence. We will use this to prove the following problem. 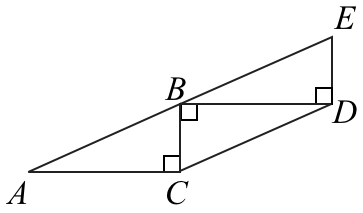 Now, by reflexive property, that is a segment is congruent to itself, . 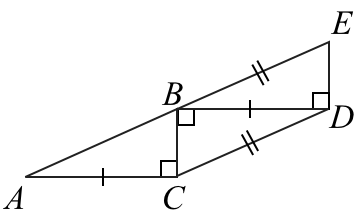 are congruent by the Hypotenuse Leg Theorem. Next, we prove that . since they are both right angles. Therefore, by the SAS Congruence Theorem. by Transitive Property of Congruence.